Guide to Mull's West Coast including Staffa, Dervaig, Calgary Bay and the Treshnish Isles. Mull's west coast is where you'll find some of the island's most stunning scenery. The B8073 winds its way anti-clockwise from Tobermory in a series of tortuous twists and turns as it follows the contours of the deeply indented coastline. The road climbs west from Tobermory then makes a dramatic descent, with hairpin bends, to Dervaig. The road climbs west from Tobermory then makes a dramatic descent, with innumerable hairpin bends, to Dervaig. This section of road is closed to the public for the annual car rally in October. Dervaig is a lovely village of whitewashed cottages, beautifully situated at the head of Loch Cuin, where the old folk still converse in Gaelic. It has two very notable features (quite a lot for such a tiny place). One is Kilmore Church, which has a very unusual pencil-shaped spire (the only other one in Scotland is at Dunfermline in Fife). Dervaig's real claim to fame, though, is the Mull Little Theatre, the smallest professional theatre in Britain, with only 43 seats. It puts on an impressive programme of plays throughout the summer (May-September), and common sense dictates that advance booking is essential (Tel. 400245). One mile beyond Dervaig take the turn-off to Torloisk to reach the Old Byre Heritage Centre, which stands out as one of the few genuinely interesting examples of these places. It also features a video of Mull's history and an excellent tearoom (see below). Info - Easter to end-Oct daily 1030-1830. Adult £3, concession £2, children £1.50. Tel. 400229. Five miles west of Dervaig is Calgary Bay, Mull's most beautiful beach ringed by steep wooded slopes with views across to Coll and Tiree. Any Canadians reading this, may be interested to note that the large city in Alberta was named after the former township. Many emigrants were forcibly shipped to Canada from here during the Clearances. There are some wonderful paths through Calgary Wood, just past Calgary Farmhouse Hotel, including a half hour circular walk past the millpond and some unusual modern sculptures. The road down the west coast passes through a series of tiny settlements before reaching the turn-off to Ulva Ferry. A couple of miles before the turning, it's worth stopping at Eas Fors, a spectacular waterfall that tumbles straight into the sea from under the road bridge. There's a path down to the bottom and you can swim in the sea, below the falls. No accommodation but ask the ferry operators about camping. If you have the time and need to escape the hectic bustle of Mull, then take a day out on idyllic Ulva (meaning 'wolf island' in Norse), just off the west coast. 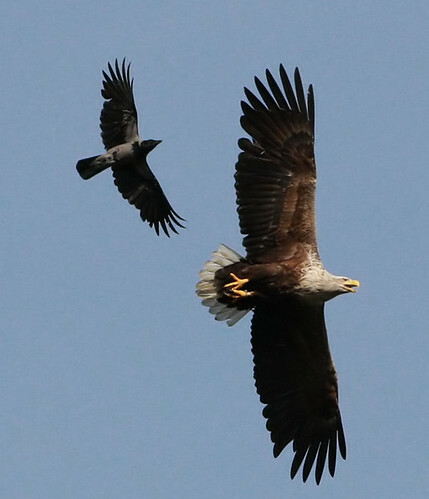 You won't see any wolves around, but you're almost guaranteed to spot deer, golden eagles, buzzards and seals offshore. There are several well-marked woodland and coastal trails across the island, including one to the southwest where there are basalt columns similar to those on Staffa, or you can follow the trail to the top of the hill for spectacular views across to the Cuillins on Skye (on a clear day), or cross to Ulva's even smaller neighbour Gometra by a causeway. There's also a track to Livingstone's Cave where archaeologists have found signs of human life dating back as far 5,650 BC. A small bicycle/passenger-only ferry makes the 2-min crossing on demand from Ulva Ferry, all year for Mon-Fri sailings 0900-1700,on Sun Jun-Aug; £4.50 adult return, £2 children (£0.50 for bikes). This includes entry to the Boathouse Heritage Centre, Sheila's Cottage (a musuem of island life) and access to all walks. At other times, phone to make arrangements, Tel. 500226. The tiny uninhabited island of Staffa, five miles off the west coast of Mull, is one of the most spectacular sights not just in Scotland but anywhere in the world. It consists of immense, hexagonal, basalt pillars which loom up out of the sea, like a giant pipe organ. 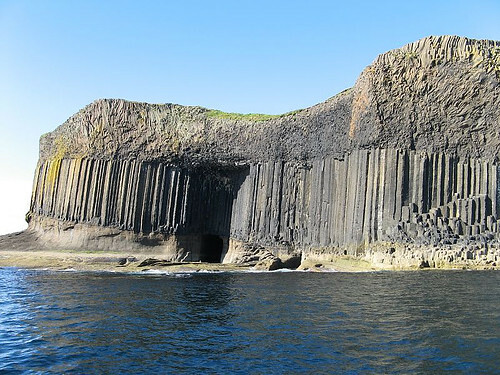 Staffa was formed 60 million years ago by the slow cooling of Tertiary basalt lavas. These have been carved by the pounding sea into huge cathedral-like caverns such as the mightily impressive Fingal's Cave. The sound of the sea crashing against the black crystalline columns made such an impression on Felix Mendelssohnn in 1829 that he immortalized the island in his Hebrides Overture. The composer was obviously aware of its original name in Gaelic, which means 'The Melodious Cave'. You can land on the island - if the weather is good enough - and walk into the cave via the causeway; an experience not be missed. But even if the seas are too rough, it's worth making the 90-minute boat trip just to witness the huge columns and gaping black hole of the cave. 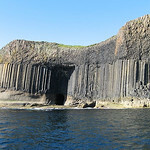 Most boat trips to Staffa include a memorable tour of the uninhabited Treshnish Isles to the northwest. The two most northerly islands, Cairn na Burgh and Cairn na Burgh Beg have ruined castles, while another, Bac Mór, is better known as Dutchman's cap because of its curious shape. The largest island, Lunga, is the main bird sanctuary and a haven for thousands of seabirds, including razorbills, guillemots, kittiwakes, shags, fulmars, skuas and puffins so tame you'll need to tread carefully to avoid them. In the surrounding seas there are seals, dolphins, minke whales, porpoises, and maybe even basking sharks and killer whales! Most boat trips include time ashore on Lunga and all are dependent on sea conditions. Boat trips to Staffa and the Treshnish Isles leave from Oban, Dervaig, Ulva Ferry, Iona or Fionnphort, weather permitting. A full-day cruise including Staffa and the Treshnish Isles costs £33 per person (£17 for children); a cruise to Staffa only costs around £14.50. Turus Mara, Tel. 08000-858786 (freephone), www.turusmara.com, leave from Ulva Ferry, daily May-Sep and Sep-Oct subject to weather and demand . They also run this trip from Oban; £33.50 including ferry and courtesy bus form Craignure to Ulva Ferry. Inter-island Cruises leave from Croig near Dervaig, Tel./Fax. 01688-400264. They're a little bit more expensive than the others, but also have trips to Coll and Muck. Alternative Boat Hire, Tel. 01681-700537, offer trips around the coastline and handline fishing on a traditional wooden boat. You can hire by the hour or for an afternoon, May-Oct, from Fionnphort and Iona. From Ulva Ferry the B8073 heads east along the north shore of Loch na Keal then enters a wide flat valley, where the road forks east to Salen and west along the south shore of Loch na Keal. 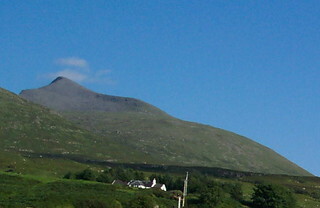 This part of Mull is dominated by Ben More (3,170 ft), the island's highest mountain. All around is a spectacular region of high jutting mountains and deep glens, extending west to the Ardmeanach Peninsula. The road passes Dishig, the best point from which to begin the steep walk to the summit, then cuts through the towering Gribun cliffs, with the tiny island of Inch Kenneth lying offshore. There are also great views of Ulva, Staffa and the Treshnish Isles. The road then turns south across the peninsula as it climbs over the pass and down to Loch Scridain, where it joins the A849 which runs through the beautiful and dramatic Glen More to Craignure. The peninsula may look impenetrable, but with the proper walking gear can be explored on foot. On the north coast, about a mile from the road, is the massive entrance to MacKinnon's Cave, which runs for about 100 yards back under the cliffs. Make sure to visit only at low tide and also watch out for the evil spirits who live inside and who are said to have caused the deaths of an entire party of adventurous - or foolish - men. The area around the headland, now owned by the National Trust for Scotland, is known as 'The Wilderness'. Near the headland is MacCulloch's Tree, a remarkable fossilized tree 40 ft high and thought to be 50 million years old, which was discovered in 1819. The tree is only accessible by a seven-mile footpath which begins at Burg Farm. You should call in at the farm to let them know of your intentions and also to get directions. You should have a good map of the area and also time your arrival with low tide. Dervaig has a wide choice of places to stay. The nicest is Druimard Country House Hotel, Tel. 400291, Fax. 400345, Druimard Country House Hotel 6 rooms, open end Mar-Oct. This Victorian country house offers peace and comfort in beautiful surroundings and is right beside the Mull Little Theatre; the room rate includes dinner in the excellent restaurant. They offer a pre-theatre 4-course dinner for non-residents (expensive). There are several B&Bs and guesthouses in and around the village, including the wonderful Balmacara, Tel. /Fax. 400363, open all year, 3 double rooms, one with a 4-poster bed, and the excellent Cuin Lodge, overlooking Loch Cuin, Tel. 400346, Email the Cuin Lodge open Mar-Oct. If you're on a tight budget there's The Dervaig Bunkroom, T01688-400491, at the community hall, which has 10 beds and is open all year. Aside from the Druimard Country House, probably the best food around is at the Old Byre Heritage Centre (see above), whose tearoom serves delicious but cheap snacks and home baking. There's also the 16th-century Bellachroy Hotel, where you can get decent bar meals. Opposite is Coffee and Books, for good coffee and, funnily enough, books. 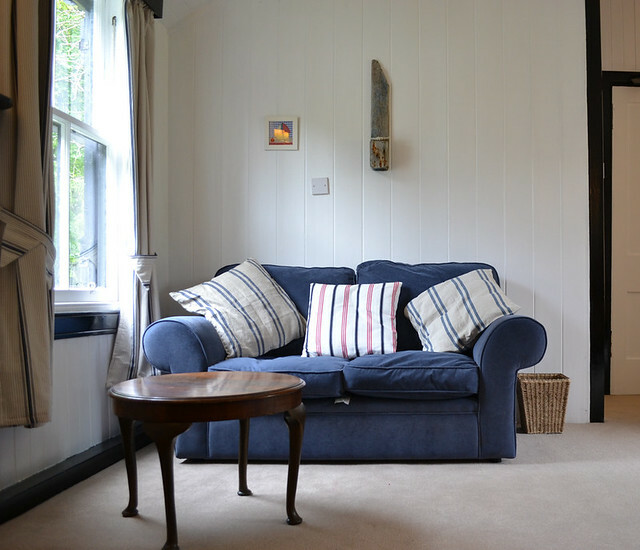 Near Calgary Bay is the wonderfully peaceful and relaxing Calgary Farmhouse Hotel, Tel. 01688-400256. 9 rooms, open Apr-Oct. This restored farmhouse is one of Mull's gems, and the adjoining Dovecote Restaurant serves excellent, moderately priced food using the best of local seasonal produce. There's also a tea-room, The Carthouse, which offers cheap and delicious light lunches and home baking.